At C J Richards Electrical we will work with you to design and install security systems to meet your requirments. 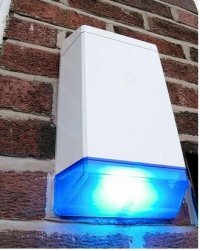 We use the latest technology to help protect your property. Enquire today to arrange a free survey & quotation. From a single door intercom system to multi door computer controlled system, we can provide the lot taylor made for you. Find out what's happening when you are not there. We will survey your property and come up with a solution for you.